AkroVest Gypsof™ investment remover powder softens and dissolves gypsum based investment when mixed with water. Also acts as a pickle agent to remove oxides and brighten castings. 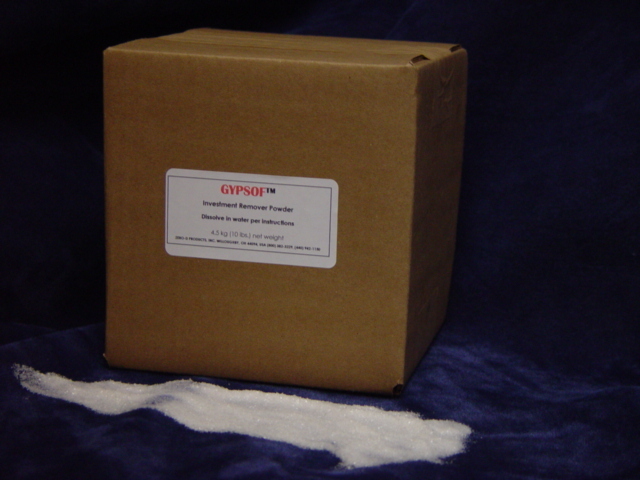 AkroVest Gypsof™ also acts as a cleaning agent to help remove dried gypsum investment from mixing bowls and utensils. AkroVest Gypsof™ is now available in powder form.